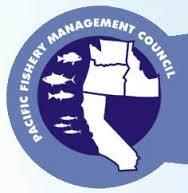 The North Pacific Fishery Management Council (NPFMC) is one of eight regional councils established by the Magnuson Fishery Conservation and Management Act in 1976 (which has been renamed the Magnuson-Stevens Fishery Conservation and Management Act) to oversee management of the nation's fisheries. With jurisdiction over the 900,000 square mile Exclusive Economic Zone (EEZ) off Alaska, the Council has primary responsibility for groundfish management in the Gulf of Alaska (GOA) and Bering Sea and Aleutian Islands (BSAI), including cod, pollock, flatfish, mackerel, sablefish, and rockfish species harvested mainly by trawlers, hook and line longliners and pot fishermen. The Council also makes allocative and limited entry decisions for halibut, though the U.S. - Canada International Pacific Halibut Commission (IPHC) is responsible for conservation of halibut. Other large Alaska fisheries such as salmon, crab, and herring are managed primarily by the State of Alaska.